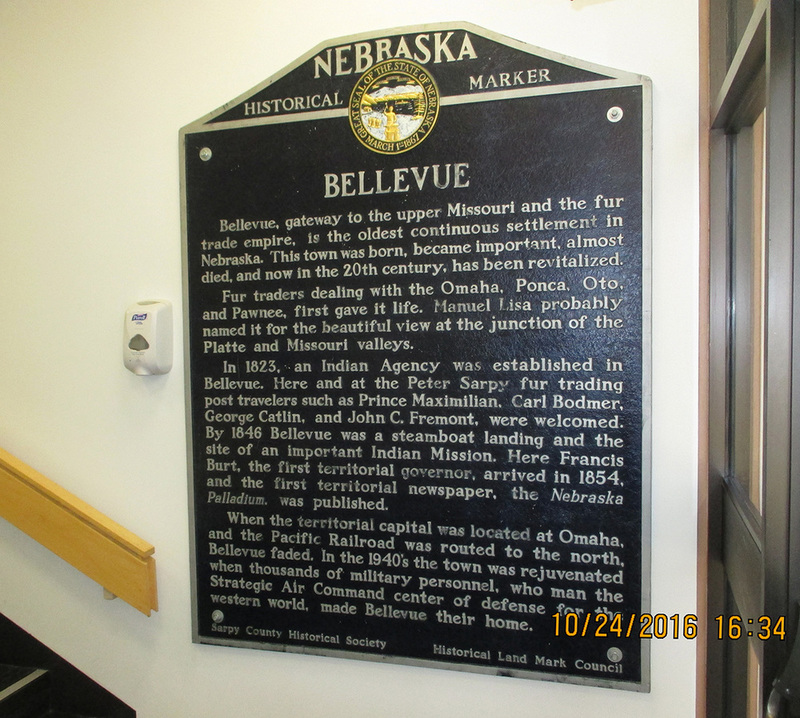 Bellevue, gateway to the upper Missouri and the fur trade empire, is the oldest continuous settlement in Nebraska. This town was born, became important, almost died, and now in the 20th century, has been revitalized. “Bellevue,” Explore Nebraska History, accessed April 19, 2019, https://mynehistory.com/items/show/443.